Kathleen Manafort is an accomplished American attorney, real estate investor and a businesswoman who practices her legal profession in Virginia. 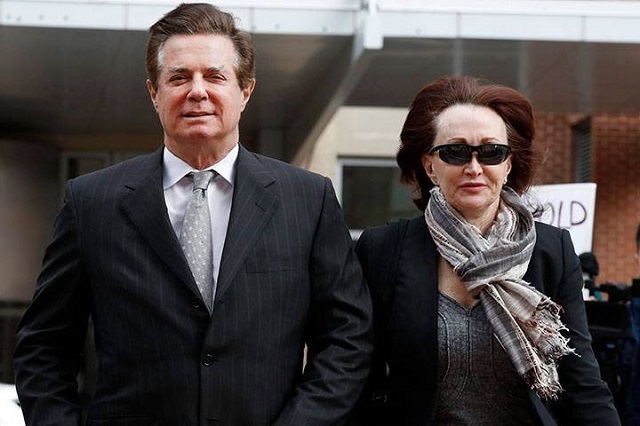 This successful woman is the better half (wife) of the of Paul Manafort, a famous political consultant, lobbyist and former legal practitioner from Connecticut, the U.S. Her husband was formerly the campaign chairperson of president Donald Trump who in 2017 was enmeshed in a serious bank and tax investigation and trials. Despite her status as the wife of a famous political consultant, Kathleen’s charisma has propelled her to success outside her popular husband. The American attorney was born sometime in 1953 in the United States of America although the precise date and place of her birth are largely unknown. She is an extremely private person until the media picked interest in her family over the financial crime allegedly committed by her husband Paul Manafort. This saw her suddenly become an object of media scrutiny and interest. There is not much to lay hands on as it relates to her younger life. Information about Kathleen’s childhood and family background have not been disclosed. Aside this, however, he have gathered ample information about her career and family life. She got her college education from Georgetown University, Washington D.C where she graduated with a Bachelors degree in Business Administration (BBA) in the year 1979. Little wonder Kathleen has a vast knowledge of business management. Thus she built alongside her husband, their Real Estate Business to an enviable height. She later proceeded to Georgetown University Law Center where she obtained her Juris Doctor Degree (J.D) then passed her Virginia Bar examinations in 1988. In 1991, she became a member of the D.C Bar association. With her level of education and exposure, it is obvious that Kathleen Manafort is not a pushover. Having gone through the necessary processes and passing the required examinations and indoctrinations, she is a proud Attorney. Kathleen Manafort’s husband, Paul Manafort is a popular name in the American political space. He was born on 1st April 1949 to Antoinette Mary Manafort and Paul John Manafort. He attended Georgetown University where he bagged his B.Sc in Business Administration and Juris Doctor Degree (J.D) in 1971 and 1974 respectively. Paul is a political consultant, a lobbyist who has lobbied for high profile persons like the Ferdinand Marcos, former Philippine president, Mobutu Sese Seko, the former Congolese president among others. Kathleen and Paul tied the knot on August 12, 1978, they have been together as husband and wife for over four decades and still counting. Although Paul’s name has been a subject of controversies recently, it has not dented the love Kathleen has for her husband and father of her two daughters. During the 2016 electioneering campaign that brought in President Donald Trump, Paul played an integral role as his campaign chairperson until he was indicted for tax fraud which led to his removal from the campaign train of Trump. With his investigation, arrest, trial, eventual conviction on more than eight count charges and jail for tax fraud and nondisclosure of foreign bank accounts in 2018 and forfeiture of his license to practice law in January of 2019. He was doubly sentenced to 47 and 43 months imprisonment on the 7th and 13th of March, 2019 by two different judges respectively. All eyes are on President Donald Trump to see if he would grant his former employee and friend a presidential pardon. Kathleen Manafortand her husband Paul share two adorable daughters namely; Jessica Manafort born on June 13, 1982, and Andrea Manafort. Jessica currently mines her trade as a film director, producer, and screenwriter in the glamorous industry – Hollywood. She was previously married to Jeffrey Yohai in 2013 but divorced him four years after in 2017. In a bid to distance herself from her father’s bad public image and trials, she legally changed her name to her mother’s maiden name Bond. On the other hand, her sister Andre Manafort works as a lawyer and an Associate General Counsel at Fort L.P Investment Management firm. She tied the nuptial cord with her sweetheart, Christopher Shand on May 24, 2015. Kathleen has been working round the clock to be where she is at the moment. Her net worth is currently pegged at $5.5 million, all of which is from her work as an Attorney and Real Estate businesseswoman. Kathleen Manafort is said to own a $3 million dollar luxury edifice in Virginia, and a 10 bedroom residence in the Hamptons, on Eastern Long Island’s South Fork. Kathleen Manafort is a beauty with an average female height. She stands at a height of 5 ft 4 inches (1.63 m) balanced by a body weight of 55 kg (121 lbs). Despite her age, she has maintained a her beauty over the years.